NIH’s Fauci and Gilead’s Martin: junk science and oligarchic capitalism. Healthy people at risk of HIV are advised to take daily pills that cut the odds of infection by more than 90 percent, U.S. health officials said in the first formal recommendation on using the drugs as a preventative. The 90 percent claim, though attributed to the CDC, is a number that has taken on a life of its own, and does not square even with the summary of findings in the New England Journal of Medicine report by the investigators on the so-called iPREX study of mostly Third World gay males, in which a 44% greater protection (over placebo) claim was made–itself a gross exaggeration, as I explain in my article. FDA approval of Truvada for PrEP was based on the confirmation-biased iPREX and FEM PrEP studies, fully described (and de-bunked) in my article. The slimmed down version in The Washington Post, in both its print and online editions, excised all references to any questions that even mainstream HIV=AIDS believers have about drugging HIV negatives with highly toxic chemotherapy. As I claim in my article, junk science and oligarchic capitalism triumphed in the Fauci-Gilead collusion, along with Gilead’s purchase of PrEP approval by the FDA, and the CDC’s consequent imprimatur for Truvada PrEP. Read the entire analysis HERE. RTB: Terry Michael is adding the numbers this week in this editorial on how to make money in pharmaceuticals. Gilead Sciences of Foster City, CA, the politically connected number one dealer of toxic “HIV” anti-retrovirals, celebrated the 30th anniversary of the invention of the AIDS virus a day early, today, April 22, 2014. Antiviral product sales increased to $4.51 billion for the first quarter of 2014, up from $2.06 billion for the first quarter of 2013 largely due to sales of Sovaldi® (sofosbuvir 400 mg), which launched in December 2013, and increases in sales of Stribild® (elvitegravir 150 mg/cobicistat 150 mg/emtricitabine 200 mg/tenofovir disoproxil fumarate 300 mg) and Complera/Eviplera® (emtricitabine 200 mg/rilpivirine 25 mg/tenofovir disoproxil fumarate 300 mg). This increase was partially offset by a decrease in wholesaler and sub-wholesaler inventories in the United States associated primarily with our HIV products, which also impacted antiviral product sales in the first quarter of 2014 compared to the fourth quarter of 2013. You will recall that our friend Dr. Tony Fauci, NIAID director-for-life, named Gilead CEO John C. Martin to NIAID’s advisory council way back in March 2000. Gilead’s chairman at the time was Donald Rumsfeld, soon to become George W. Bush’s Secretary of Defense, whose department stockpiled tens of millions of dollars of Gilead’s then big money-maker, TamiFlu, increasingly regarded as worthless, or nearly so. CNN Money.com/Fortune magazine had this revealing story on Rumsfeld, TamiFlu and Gilead’s political connections in 2005. Fauci used Gilead’s “generously donated” Truvada in the bogus, confirmation-biased clinical trial experiments on Third World subjects, which led to Truvada’s fast-tracked (in six months!) FDA approval in 2012 for so-called “pre-exposure prophylaxis”– highly toxic chemotherapy for HIV NEGATIVES. Gilead’s (GILD) stock prices have zoomed from the low 20s to the low 70s in just the past two years. The champagne corks should be popping in Foster City, CA Wednesday as the company celebrates the April 23, 1984 invention of the AIDS virus, proclaimed as probably a human retrovirus by HHS Secretary Margaret Heckler in a science-by-press-release media event on that date 30 years ago. It started the money ball rolling for Gilead and the other purveyors of toxic ARV’s. Thirty years ago this spring, actor Rock Hudson tested “positive” on the new “HIV test.” A year and a half later, he was dead of so-called “AIDS” after sensational media reports set off a sexual panic. We look at the more likely causes of death – and why those causes matter. It was the world’s most famous case of “AIDS.” In June 1984, actor Rock Hudson, the good-looking, crew-cut symbol of perfect American manhood, received his diagnosis of the new syndrome, based on a “positive” result on a test that had been on the market for less than two months. The hype around Hudson’s illness and death turned AIDS into a general “epidemic” from an affliction among a subset of gay men. But we find other, more likely, causes for Hudson’s death. 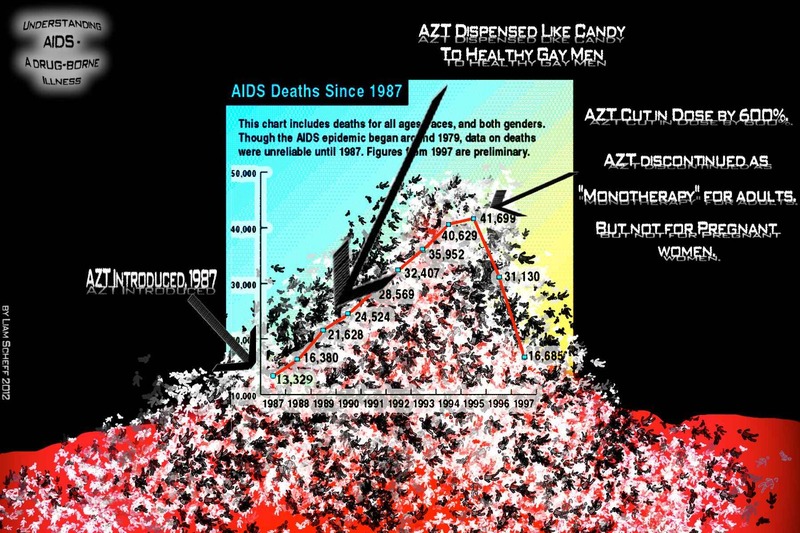 The idea that AIDS could happen to anyone, accordingly, rests on a lie. In the official biography he commissioned while wasting away, this famous yet very private man wrote, “I want the truth to be told, because it sure as hell hasn’t been told before.” The media indeed didn’t tell the truth, in the rush to enroll us all in a sexual hysteria. In 2004, I broke open the NIH Clinical Trial Scandal, the internationally-covered story of hundreds of New York City orphans used by government agencies and pharmaceutical companies in deadly AIDS drug trials. In reporting this issue, I entered the orphanage where children were being used as guinea pigs, and over a period of several years, took interviews with mothers, children and childcare workers at the Incarnation Children’s Center. I also interviewed the medical director, and investigated the FDA documentation and published medical literature on the tests and drugs used, drugs which were often force-fed through nasal and gastric tubes to the children. I reported several deaths in children, and although the mainstream denied that any deaths were due to drug toxicity, they admit that over 200 children died. In 2005, the city of New York hired the VERA Institute to form a final report on the drug trials. VERA was given no access to medical records for any of the children used in trials. Their report was published in 2008. The WIKIPEDIA writers cover up all details, as is expected. No payment or compensation has been paid to any of the children used in the trials, or to their families. Later in the article, Scott admits that the “permissions” for many of these children are “missing,” (or were never there). “No, we did not review patients’ medical files. I would be surprised if that would not have been a breach of patient confidentiality if someone had shown them to us. An unexpected side effect would have been a side effect not previously seen in response to those drugs, presumably. Advanced testing methods were the methods available at the time for diagnosing HIV infection. I do not recall interviewing Dr. Painter [the doctor in charge of the orphanage and orphans] but I may simply not remember. As you know, the Times moved to a new office a year ago. It was not possible to move all of our files. In my case, I threw away files that were more than 12 months old. As you know, the story you are asking about was done in 2005. I do not recall which studies we looked at. There were a lot of them — some more easily accessible than others, as you know. As for mentioning side-effects and FDA warnings, there are side-effects and FDA warnings on many if not most drugs. 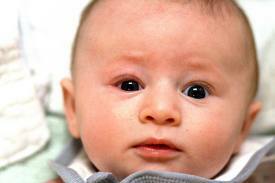 The side-effects of early AIDS drugs have been written about extensively. And, as I have said before, we were not presuming to judge whether or not experimental AIDS drugs should have been tried on children — a question that I suspect few journalists would be qualified to answer; we were attempting to put a public controversy in context. If you have further objections to the way the story was handled, I suggest you contact Joe Sexton, the editor of the metropolitan news section of the paper and the editor on that story. In 2009, the Times was forced, in a follow-up story, to admit that many children had died, following the VERA report – but the VERA Institute, hired to “investigate” the trials, was also forbidden from looking at medical records. [LINK] Their “investigator” also refused to take data from me on the trials – lists of the trials themselves, the drugs used, and their recorded ‘black box’ warnings. In a follow-up interview with Vera Myles of WBAI, the head of the VERA Institute admitted that many more children had died than they had listed in their report. Neither the Times nor the Wikipedia are able to talk about AIDS drugs, which kill people. But, of course, take them if you really want to. On Tuesday’s Robert Scott Bell Show (10-10-11) April Boden, vaccine activist, blogger and mother of a vaccine-damaged six-year-old in California, revealed her deeply insightful take on the politics of the two – count them, two – vaccine bills, that were just passed by Governor Jerry “Drug-Fever” Brown.